Majesty of the Seas will not go to CocoCay today. Instead, the ship will stay in Nassau overnight until 5 p.m., before finishing its cruise in Miami on Friday morning as originally scheduled. CEOs in America are paying more attention to their pricing strategies, while torn between rising costs and the reluctance of consumers to pay more. Core inflation, which excludes volatile energy prices and food has not undergone major changes in the U.S. in recent months and executives do not fail to analyze where, when and how they can raise prices. Royal Caribbean Cruises has been increasing the price of their cruise, but more gradually than before and only after collecting data on stocks that are receiving telephone and on its website, says Brian Rice, his chief financial officer. Throughout the day, the cruise operator adjusts hundreds of prices. However, Rice said that rates have not reached the pre-recession levels. "Clearly we have our prices where we need them," he says. Royal Caribbean's Legend of the Seas made her first visit ever to Seoul, South Korea, after being added as a port of call by Royal Caribbean. 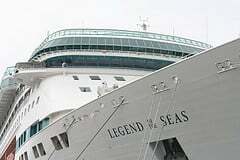 Legend of the Seas will be largest ship to ever visit the the Incheon port on Tuesday. Traditional plaque and memento exchanges to commemorate the maiden call took place at a VIP ceremony onboard the ship. Royal Caribbean has plans for Legend of the Seas to return to Incheon again 10 more times starting in July of next year. Royal Caribbean is kicking off it's much hyped "WOW Sale" today, which is offering savings for Royal Caribbean cruises in 2011. During the sale, passengers can get up to $200 per cabin in onboard credits. In addition, you will only have to pay half the normal amount for a deposit to book a cruise. "Our WOW sale is truly our best consumer offer," Royal Caribbean senior vice president for sales Vicki Freed tells USA TODAY, noting the promotion is good on voyages through 2012. The sale "offers the most flexibility of dates and ships." 9 nights or more: $200 per cabin. Special offer can not be combined with any other offer or promotion, including Crown & Anchor, Shareholder Benefit, Future and Next Cruise offers. This deal is only valid September 29 & 30, 2010. Royal Caribbean Cruise Line associate vice president and general manager of the United Kingdom and Ireland, Jo Rzymowska, has been appointed chair of the Passenger Shipping Association's Cruise Section Committee. 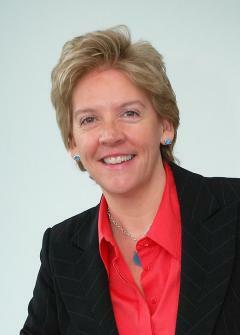 She succeeds Stephen Park, former UK head of Norwegian Cruise Lines, who left the company earlier this year. Rzymowska, who joined Royal Caribbean in 2005, oversees the company's sales and marketing activities in the UK and Ireland for its three brands, Royal Caribbean International, Celebrity Cruises and Azamara Cruises. Recently we had a chance to sit down with John Hinchey, the musical arranger for the brand new show "Summer Breeze", which is set to debut on Royal Caribbean's brand new Allure of the Seas ship. This show, that is being performed each cruise in the Aqua Theater, is a brand new show never seen before on Royal Caribbean and we talked with Hinchey and took a look at this new show and how it came about. One of my recent projects was writing horn arrangements for Stingʼs Rainforest Beneﬁt Concert at Carnegie Hall this past May, featuring Sting, Bruce Springsteen, Elton John, Lady Gaga, Debra Harry and Dame Shirley Bassey. This was the 5th of these Rainforest Beneﬁt Concerts Iʼve arranged for and itʼs always quite exciting to be involved. 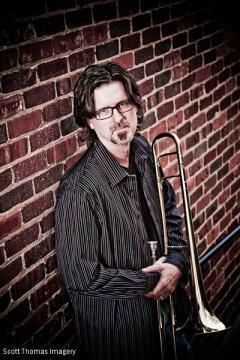 You can stop by my website www.hincheymusic.com for more on details what I do and what Iʼve been up to. Summer Breeze is the name of the new show you're working on for Allure of the Seas. Tell us about what this show is all about. This is a really fun show! RCCL had me arrange and produce music for a show by the same name on the Oasis Of The Seas last year. It was such a hit with the passengers, that I was asked to do another version of the show with all new music for the Allure Of The Seas. This show is really a live concert event featuring the shipʼs 6 production singers and the fabulous 9 piece band on the ship. 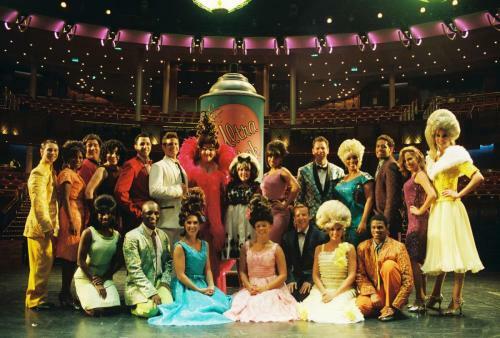 It takes place in the Aqua Theater, an open air venue on the fan tail of the ship. On the Oasis it is a “sail away” event, with the sun setting in the background as the passengers relax and enjoy the show. 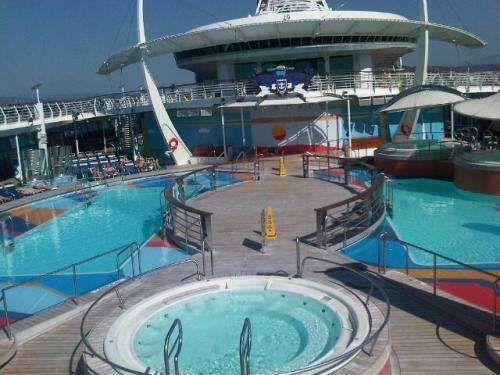 My understanding is it will be similar on the Allure The Seas. Summer Breeze features up beat, fun, feel good music mostly from the 70ʼs but I snuck in a few appropriate songs from the 60ʼs and 80ʼs too. With the exception of one medley, all of the arrangements are full length songs, so the audience really gets to hear these amazing singers show off their talent. This venue also gave me the opportunity to write some arrangements that showcase the horns and the rhythm section in a way you might not get to hear them elsewhere on the ship. Let's dive deeper into the music of Summer Breeze. What are a song or two you selected for the show and why? What is going to make Summer Breeze a show that you think will compel guests to see it? Hereʼs my suggestion, when you look at the schedule of events for the day and see “Summer Breeze” put it on your schedule. About 20 minutes before show time go to your cabin, put on some loose ﬁtting, comfortable clothes and shoes you can dance in or kick off easily. Then head up to the Aqua Theater, get one of those great fruity drinks they serve or your favorite beverage. Then ﬁnd a nice comfy chair but donʼt plan to be in it too long because dancing and singing along to some songs you love is in your immediate future. 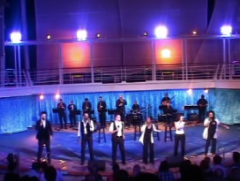 Where will Summer Breeze be performed on Allure of the Seas? I believe it will be in the Aqua Theater. How does creating a show like Summer Breeze on a cruise ship differ from creating a show in any other venue? As far as the technical details of what I do, there really is no difference. Wherever you do a show, it is to entertain, to lift the audienceʼs emotions, to give their mind a brief respite from everything else going on in their lives. If you think about it, the same reason you might take a vacation. But I will say this, as a professional in the entertainment industry, there is something that sets RCCL apart from most others in this business whether itʼs on land or at sea. That is their commitment to quality and excellence in entertainment. These shows take months, sometimes years, to plan and produce. But RCCL seeks out some of the best talent in the industry on the production side as well as that incredible talent the passengers see onstage. Through the entire process from the people we work with to the tools and equipment we use for sound, lighting, costuming etc, itʼs all top notch. Matt, thanks so much for asking me about Summer Breeze, it is a show Iʼm really proud of and I think the audiences on the Allure of The Seas are gonna love it. On April 29th, 2011, several hundred mom bloggers will board a Royal Caribbean Cruise Lines Majesty of the Seas in Miami to begin their voyage to the Bahamas, as part of the Bloggin’ Mamas Conference & Cruise. Organizers Heather Lopez of Happy Healthy Mom and Caroline Schafer of the Moms On Vacation Travel Club have teamed up to create this one of a kind opportunity for moms to network for both business and pleasure. When Lopez and Schafer first came up with the concept, they immediately assembled an advisory board made up of some of the most influential mom bloggers out there to ensure that all aspects of the event were planned with several viewpoints in mind. Advisory board members include Traci Bisson/ The Mom Entrepreneur, Amy Bellgardt/ Mom Spark and Mom Made That, Holly Hanna/ The Work At Home Woman, Dawn Berryman/ Market Mommy, Toni Bloomfield/ Market Mommies, Abbey Fatica/ Living My MoMent, Lin C/ Blogomomma, and Lucinda Cross/ Corporate Mom DropOuts; reaching a combined total of over 100,000 moms nationwide between them. 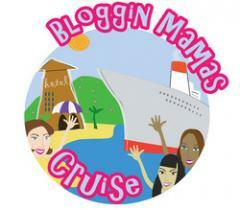 The Bloggin’ Mamas Cruise & Conference has already garnered tons of brand interest and will be launching a marketing campaign to promote the event shortly. Megan Calhoun of TwitterMoms agreed to help promote the event to her network of over 25,000 members and Jennifer James of the Mom Bloggers Club & Mom Salon is tentatively scheduled as one of the event’s keynotes. Moms are encouraged to register soon to reserve the current rate.